Going to post 3 (yes, three) TVB related album art covers.. This is TVB day !!! First up is my favourite Hana !! 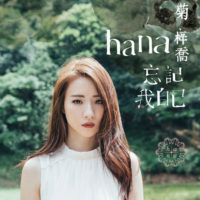 With her latest album… look at the number of TVB songs in her album.. 7 out of 10 songs.. U really have to be a TVB fan to love this album… I do.. as I love TVB !!!!! !